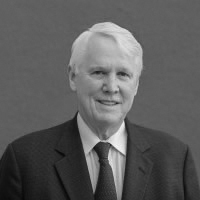 Joseph Arthur Thompson is a founder of Fulcrum Partners, LLC. During his respected career, he has consulted with hundreds of businesses and in numerous industries including healthcare, banking, engineering, manufacturing, and distribution. Providing financial consulting and advisory services to directors and management, Joe assists organizations in attracting and retaining key employees and executives by utilizing non-qualified deferred compensation arrangements, including Rabbi trusts, excess benefit plans, top hat plans, and Supplemental Executive Retirement Plans (SERPs). Recognized for his creativity and acumen in problem solving, Joe advises clients who are dealing with the intricacies of restricted stock, incentive stock options, nonqualified stock options, stock appreciation rights, phantom stock, and reloads. Joseph Arthur Thompson is affiliated with Valmark Securities, Inc. Securities offered through Valmark Securities, Inc. Member FINRA/SIPC. Investment Advisory Services offered through Valmark Advisers, Inc. a SEC Registered Investment Advisor. 130 Springside Dr., Akron, OH 44333. 800-765-5201. Fulcrum Partners LLC is a separate entity from Valmark Securities, Inc. and Valmark Advisers, Inc. Experienced in the full range of executive compensation and benefit plans, including the design of equity-based plans, tax oriented executive compensation plans, and executive benefit plans. Former Managing Director for Clark Consulting with more than 30 years consulting experience, all in finance and executive compensation, and benefit planning.